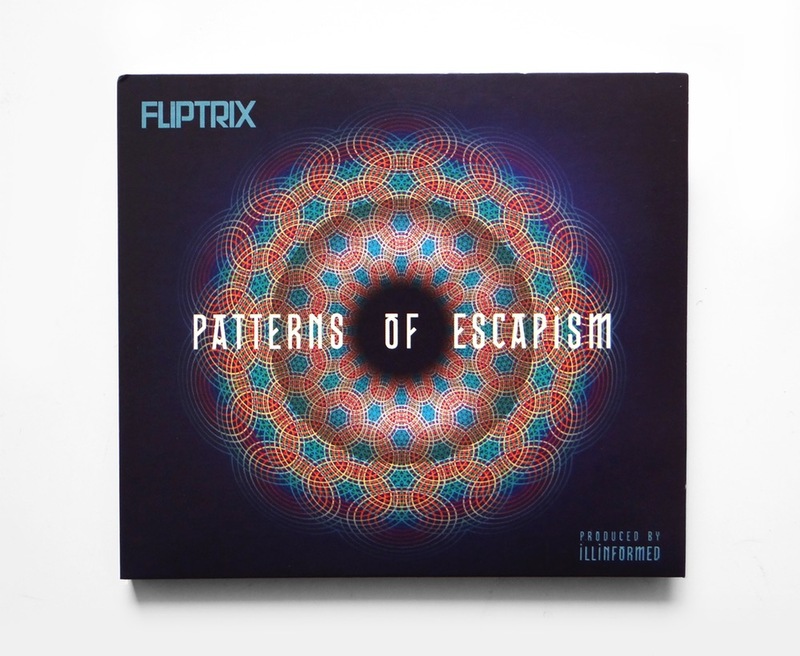 I worked with Record label “High Focus” to produce album artwork for Fliptrix’s 6th studio album “Patterns of Escapism”. Working alongside Mark one87‘s graphic direction I created the cover artwork and accompanying images for a full-colour 12 page booklet. 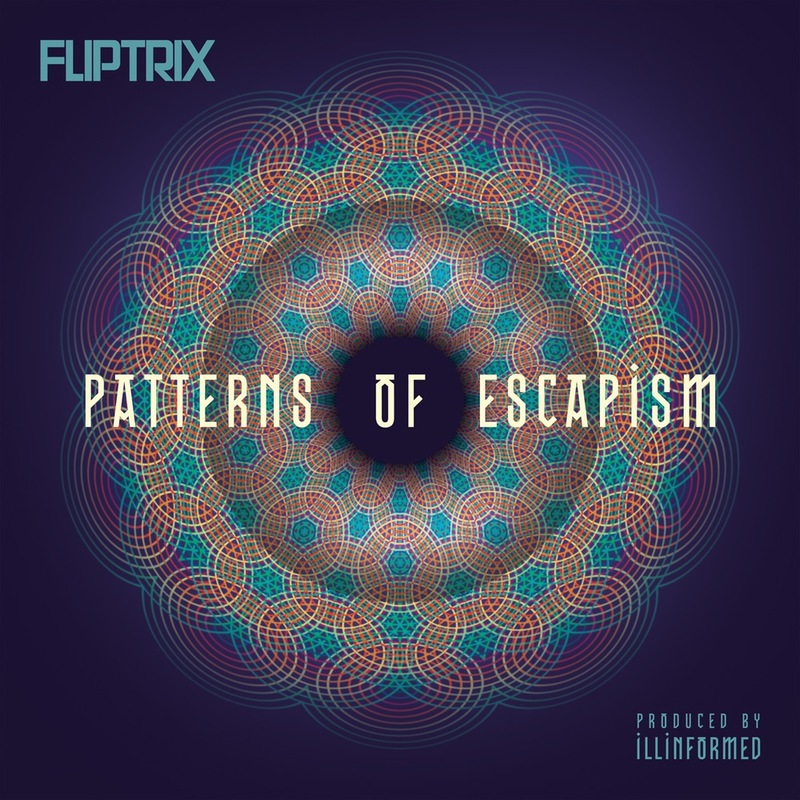 ‘Patterns Of Escapism’, is entirely produced by Illinformed and features the likes of The Four Owls, Ocean Wisdom, King Kashmere, Life MC, Verb T, Dabbla, Jazz T & DJ Sammy B-Side. 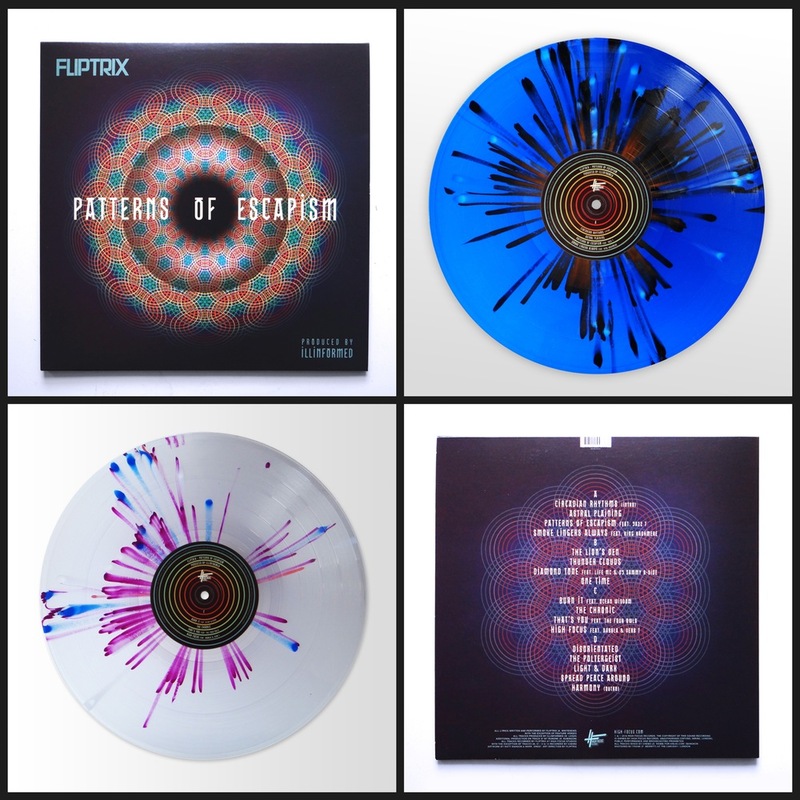 The album was released as a limited edition splatter colour vinyl pressing. Side A+B is a translucent blue vinyl with white, yellow and black splatters. Side C+D is clear vinyl with white, blue and purple splatters. 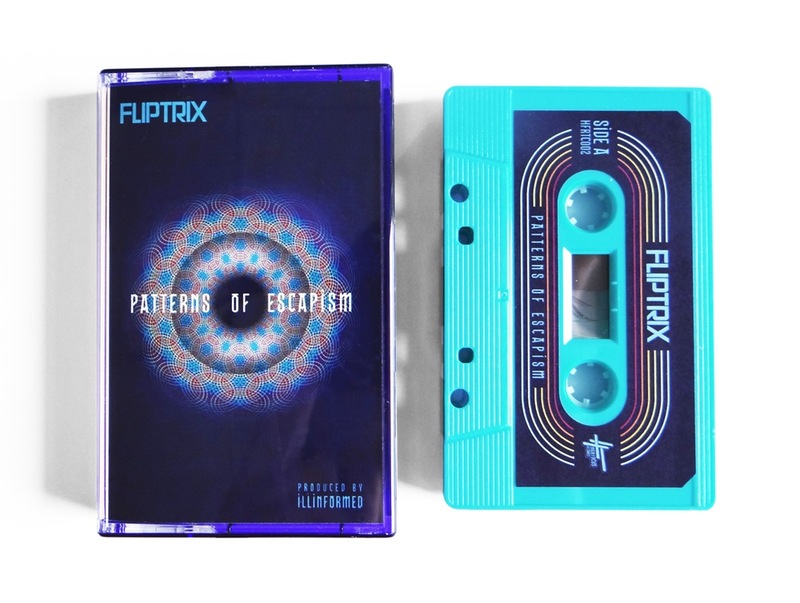 The pressing is limited to 500 copies and will never be re-pressed as a splatter vinyl again. 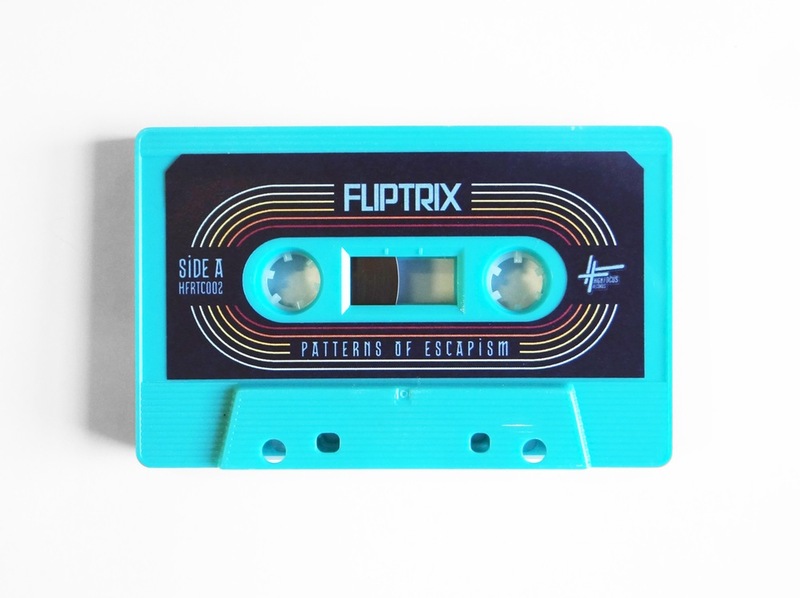 The album also saw another limited edition cassette tape release limited to 100 copies, Each edition was hand numbered. 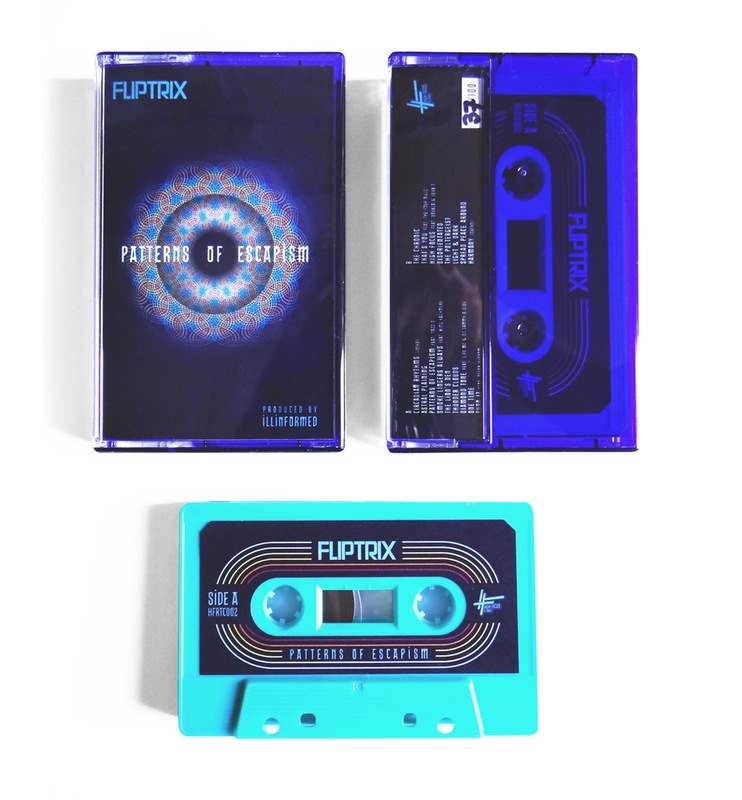 The solid turquoise tape came with full colour insert and a clear/purple see-through case.